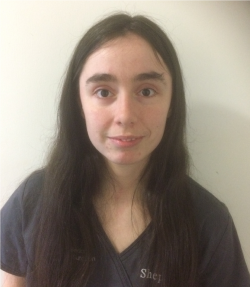 Rachel has been involved at Shepherds since 2000 when she started volunteering before going to university. She qualified in 2008 from Edinburgh University. Outside of work she is usually busy with her two spaniels or eventing her horse. Zephanie went to Royal Veterinary College in London graduating and starting with Shepherds in 2005. In 2006, she moved on to Vale Vets, a Referral practice to expand her skills. 2010 - 2012 she took time out of full time work to have her two girls, Charlotte and Alexandra. Returning to Shepherds in 2012. She now spends her time running the in-patients ward, seeing complicated medical cases and ultrasound scanning. Zephanie became a director in December 2017. Outside of work she enjoys spending time with her kids, looking after her Springer Spaniel and squeezing in the odd bit of running. Will graduated from University of Bristol in 2014 and has been working for Shepherds since. Will is particularly interested in surgical work and spends a significant amount of time in our operating theatre. In his spare time Will likes fly fishing and going out in his kayak. Tamsin graduated from the university of Cambridge in 2018. 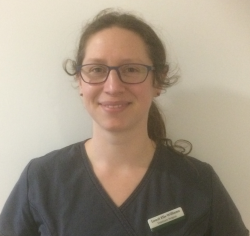 She enjoys all aspects of her work and has a special interest in ultrasonography, having completed her final year project developing teaching methods in this area in Cambridge. In her spare time, Tamsin enjoys baking, netball and white water kayaking -especially waterfalls on the River Tawe. Katrina graduated from University of Bristol in 2011 andhas been a practicing vet since. 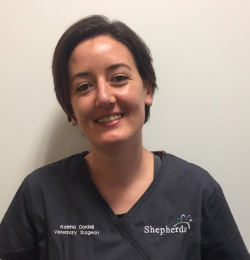 Katrina has been working for Shepherds since December 2017 having previously worked at Budget Vets. 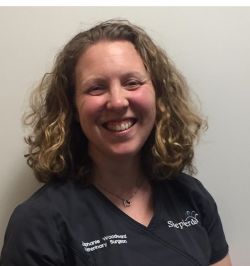 As an experienced Vet Katrina is specialising in surgery and is currently studying for a Small Animal Surgical Certificate. In her spare time Katrina enjoys spending time with her pets. 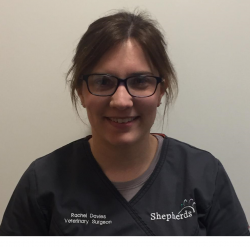 Rachael graduated from the Royal Veterinary College in London in July 2017. Originally being from Bridgend, she decided the big city life wasn’t for her and returned home to join the Shepherds team soon after. During her time at university, Rachael was a keen rugby player and Vice-Captain of the RVC Women’s RFC. 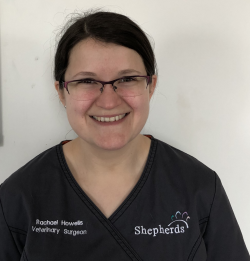 Since graduating she prefers a quieter life, and spends her free time walking her collie-cross, Scamp.Rachael is looking forward to getting stuck into veterinary life here at Shepherds, and is excited for the new challenges being a newly qualified vet will bring. Silvia joined the team in 2016. She graduated in Germany in 1995. She then moved to Nottingham to complete her doctorate. After which she followed the steps of her childhood hero James Herriot working in a mixed practice in Yorkshire. Silvia’s husband convinced her to move to South Wales where he grew up. Their children were born here in 2001 and 2003. 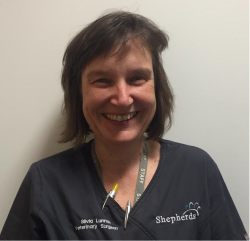 Silvia joined the veterinary emergency service and the PDSA for 10 years, enjoying working in a busy hospital. This gave her the opportunity to learn new techniques and to use state of the art environment. 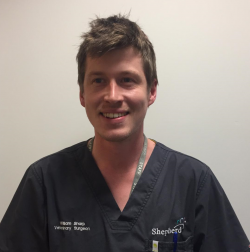 Craig graduated from the University of Edinburgh in 2011 and joined Shepherds that same year. After 3 years he moved on to study for a Certificate in Advanced Veterinary Practice in Zoological Medicine. 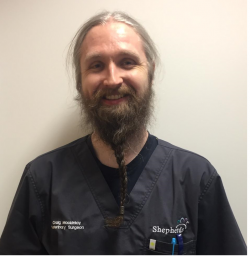 He returned to Shepherds in 2017 as a locum and became permanent again in 2018 to provide an exotic pet service for our clients. In his spare time he enjoys hiking, spending time with his pets (a royal python, Cuban knight anole and guinea pig) and whisky tasting. 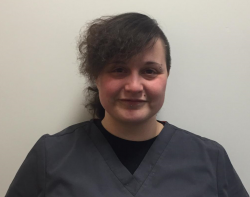 After graduating from Nottingham in 2018 Harriet joined the team at Shepherds to start her veterinary career. She enjoys all aspects of the job but has a particular interest in small animal medicine. In her spare time, she is a keen runner but also enjoys hiking and, when its not too cold, scuba diving. 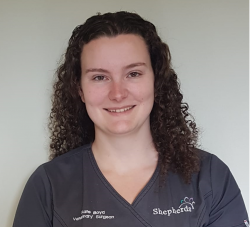 Maddy graduated from the University of Liverpool in 2018 and started working at Shepherds shortly after. She enjoys all aspects of her job and has a particular interest in anaesthesia having completed her final year elective at University in this area. Originally from Sussex, Maddy has recently moved back to her Welsh family roots. In her spare time, she enjoys exploring the local area, hiking and spending time with her cat. Kate graduated from the University of Liverpool in 2018. During her time as a student, she also spent time studying internal medicine and emergency medicine at Universität Bern, Switzerland. In her free time, she enjoys cycling, running and walking her springer cross, Ebba, as well as looking after her chinchillas. Laura graduated from the Royal Veterinary College in July of 2018, after achieving a BSC in Animal science from the University of Nottingham in 2014. A keen musician, she plays a multitude of instruments in her spare time, from woodwinds (flute, recorder, ocarina and tin whistle) through piano to strings (Ukulele). At Nottingham, she was a keen member of the alternative arts society, spinning fire and juggling the night away. 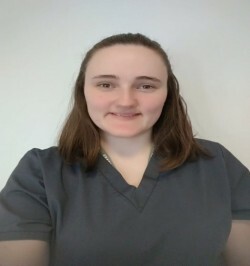 She is looking forward to her new life as a vet, and hopes to gain more experience treating birds, reptiles and small mammals as well as the usual companion species. Maria graduated in Italy in 2008 and joined Shepherds in March 2019. 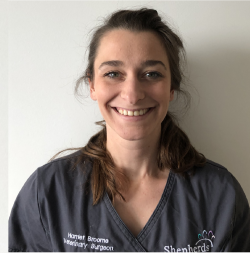 Maria’s main interest is surgery and achieved a Postgraduate Certificate in Small Animal Surgery in 2018. In her spare time, she enjoys spending time with her husband and pets (one dog and 9 cats) and cooking. 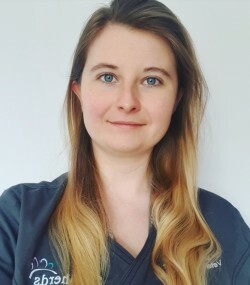 Lowri graduated from Cambridge University in 2010 and has worked around the UK mostly in small animal practice before joining us in 2019. She loves the variety of being a vet and enjoys getting to know her clients. She particularly enjoys medicine and is working towards a certificate in feline medicine. Lowri is originally from North Wales and is happy to speak to you (and your pets) in Welsh. Outside of work Lowri tries to keep her young family in order and does lots of outdoor activities and travel with them. She also has a lovely cat called Morris.